Have you visited your hometown and been transported back to your primary school days? Because of the connection created between experience, senses and emotions, we form strong attachments to these sights and sounds. From generation to generation, we share powerful memories and oftentimes have strong emotions related to community school spaces and places. 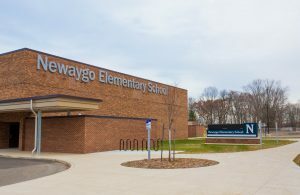 Newaygo’s previous elementary program was organized by a lower and upper elementary building. The upper elementary was in the best shape and holds historic significance in the community. 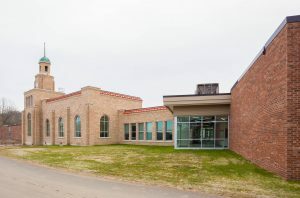 A portion of the building was saved and two new additions were created; transforming the site to service all of the needs for the elementary programs. So what happens when a district decides to invest in flexible teaching environments, to add secure and barrier free entrances and to update technology in the classroom? Do we demolish the iconic buildings that played such an essential role in our growth or do we breathe new life into them as we invest in 21st Century learning? Newaygo Public Schools recently faced this challenge. The community of roughly 28,000 has a great sense of pride in the 1900s constructed Velma Matson Upper Elementary School. As the building had diminished over the years and the structure was no longer an effective setting for learning, they needed to take action. Preserving the existing building and meeting the desired schedule meant that the school would stay operational while construction was underway. The team developed a phased project plan and established temporary spaces in the lower elementary to make this possible. Proper construction of rated walls, site fencing and clear signage ensured a safe and productive school environment. 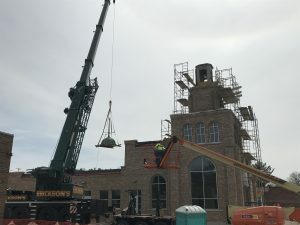 Working with the citizens of Newaygo, Christman, TowerPinkster and school leaders identified and preserved critical historic elements from the existing building, such as the cupula, gas light fixtures and limestone elements and reincorporated them into the new school. The final construction complemented the historic building and provided a new structure designed to stand the test of time while honoring a legacy of the past. Christman was involved in pre-bond, building assessments, design, phasing development and construction. 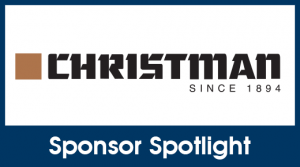 “The collaboration between the community, the school district, and The Christman Company resulted in a new and renovated building with a nod to the treasured ‘Building on the Hill’ in Newaygo. When we had discussions about removal of an old building, people were nervous about ‘losing’ elements of the past. Now, as the project has finished, I believe our community is happy with the end result,” said Newaygo Superintendent Peg Mathis.